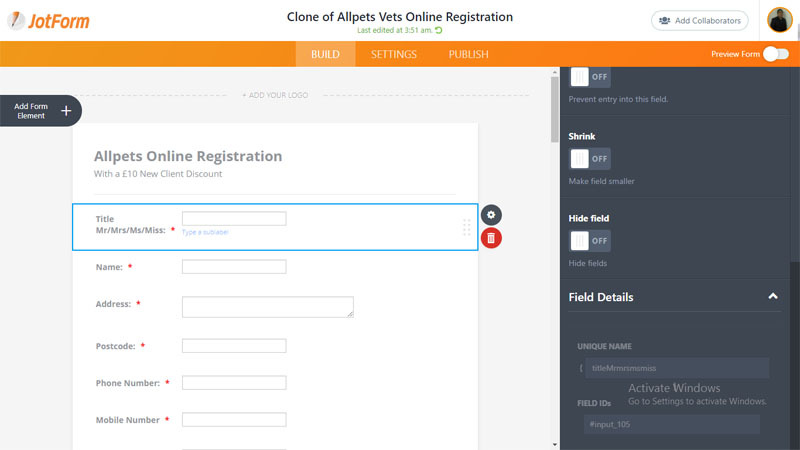 Hi, I have a fully customised form and am updating some images but the name of the images are wrong when the form is submitted. My form is actually separate from Jotform in that I edit the code and upload it directly to my web host. However I do have to make some changes in the Jotform builder each time I update images. I used to remove the CSS, change the image name. Click on 'properties' and find the 'field details' of that name. I would then enter those details into my code and the image will link to the name on the form. However I can't find the field details button with the new form builder, do you know how to find it? Your help would be much appreciated. You can find the Field Details under Advanced tab in the Field Properties panel. You have to scroll down to see it. Glad to know that worked for you.